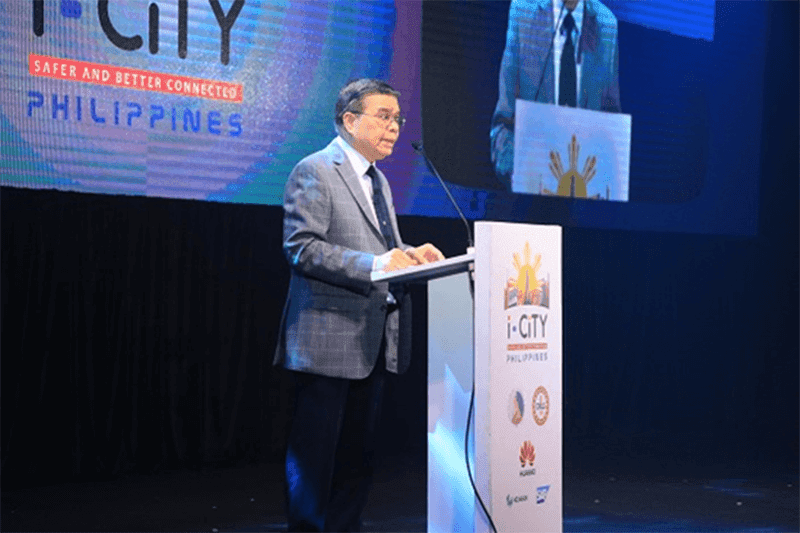 DICT And DILG Hosted The First Intelligent City Summit In The Philippines! Home / dict / news / services / DICT And DILG Hosted The First Intelligent City Summit In The Philippines! To demonstrate the importance of a safer and better connected Philippines, the DICT and the DILG of our government, conducted the first ever iCiTY Summit! It became a gathering of industry leaders from private institution and the Department of Information and Communications Technology (DICT) and the Department of Interior and Local Government. “We believe the time is right for the Philippines to embark on this digital journey to transform the way we live, work and play in a safe and healthy environment. This will enable the citizens’ to be content in this new sustainable society,” says Jacky Gao, Huawei Philippines CEO. “In establishing i-CiTY ecosystem, we are committed to this country by sharing global successful use cases, project experiences through partnership with government, academia and business operators,” he added. The i-CiTY hopes for a more inter-agency collaborations, faster response rate, and consequently, an increased digital economy, better employment opportunities, improved living conditions for a safer, better connected, and more competitive Philippines. It brings four key elements of a city infrastructure like: Digital City Management, Digital Public Services, Digital Industry, and Safe City! The opening day highlights talks and panel discussions on the global trends, public safety, e-government, and presentation of the i-CiTY financial and operational models. They presented the Bonifacio Global City, Philippines and Bandung, Indonesia as models of a safe city. The Philippines' Safe City White Paper or the commitment of the government and public and private sector partners to push for a safer and better connected PH was the key output of Day 1. On Day 2, the presentations by the DICT in connection to the National Broadband Plan was the highlight. DICT explained how technological innovations can help improve the transportation system and public services that will eventually drive direct investments in the near future. The constituents of that event are the partnerships forged by DICT and DILG with Huawei Technologies Phils. Inc., SAP, Hexagon, IHS, Pacific Disaster Center, PWC, Indonesia FTTH Association, Roland Berger, Malaysia Communications and Multimedia Commission (MCMC) and Delaware Consulting. All of those local and international key industry leaders share their best practices, opportunities, challenges, and how information and communications technology (ICT) can be maximized. In this digital transformation, the key change drivers that the Philippines will need are the provision of a faster and more stable internet connection (for uninterrupted communication), cloud architecture for the ability to support new processes and services, and facilities for behavior analysis such as real-time surveillance and pre-event warning, and etc. To know more about the intelligent city project visit http://www.dict.gov.ph/i-city-summit-2017-safer-and-better-connected-philippines/ now!